This is a summertime favourite for me and Laura. The smoky smell of the barbecue, the sound of cold beers opening and the company of friends; this BBQ sauce is a perfect accompaniment for all three. Whether you’d like to use the barbecue sauce as a marinade for some fish or to lather over some fresh veg – aubergines are great for this – it works perfectly. One of my favourite ways to serve up the barbecue sauce is with some thick potato wedges. If you don’t get through it all in one go, stick it back in the fridge as it’ll last for at least a week. 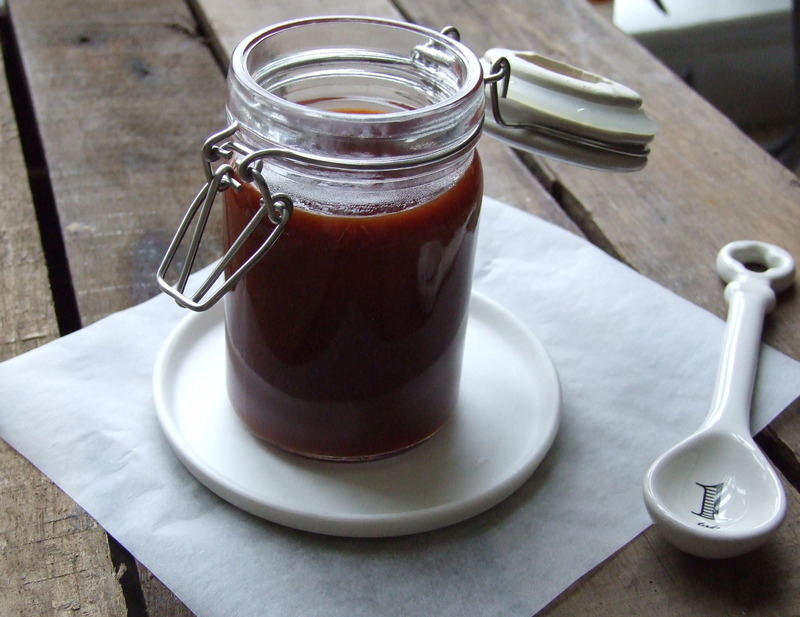 Just FYI – this barbecue sauce recipe is completely vegetarian-friendly. Add the paprika, pepper, salt, mustard powder, five spice, oregano and light brown sugar to a pestle and mix together with a mortar. If you don't have a pestle and mortar then just use a bowl and a fork. In a separate measuring jug add the tomato ketchup, water, vinegar, rum, Worcestershire sauce and the honey. Mix everything together briefly with a spoon. Don't worry if it isn't looking great at this stage, it usually doesn't. Pour in the spices from your pestle (or bowl) into the measuring jug and mix everything together. Transfer this to a saucepan on a medium heat and add in your 3 cloves of garlic, chopping them roughly first. Cook the sauce with no lid on for 15 minutes, stirring occasionally. 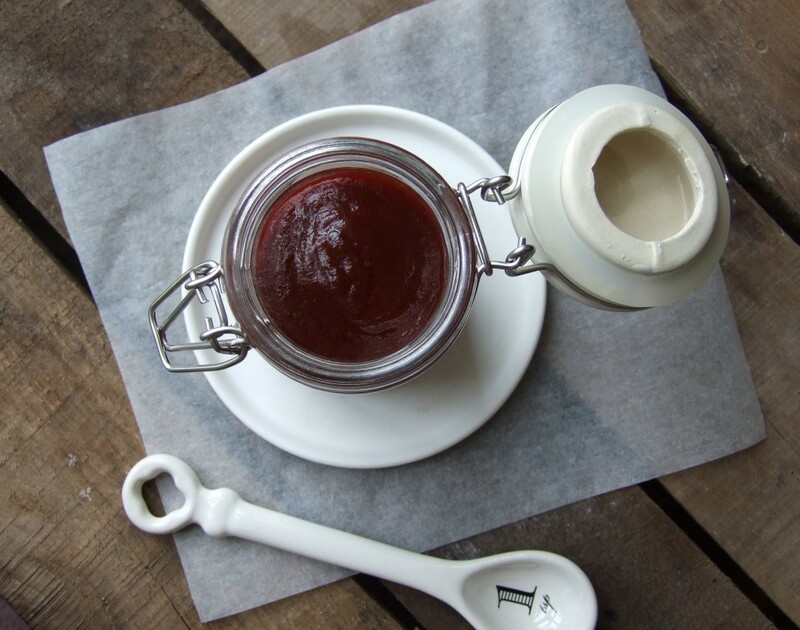 Pour the barbecue sauce through a sieve into a serving dish or jar. This will remove the pieces of garlic and keep a smooth consistency to the barbecue sauce. Leave the barbecue sauce to cool for a couple of minutes before serving up.